WARNING! YOU'RE RESPONSIBLE FOR ARCHERY SAFETY. Before handling or using your Hoyt bow, please read the following safety and warnings information for safe operating parameters. To view complete owner’s manuals by bow type, click here. WARNING! While servicing Hoyt compound bows, it may be necessary to remove and reinstall e-clips on the ends of the axles. It is critical that the e-clips are installed correctly. If e-clips are not installed correctly, it is likely that one or more of the limbs will work their way off the end of the axle, causing the bow to come apart and may result in injury to user or bystanders. To avoid severe personal injury, to yourself or bystanders, as well as damage to your bow, it is of the utmost importance that only Hoyt approved bow presses should be used to press Hoyt bows. STANDARD BOW PRESSES CANNOT BE USED and may result in bow failure and personal injury. Hoyt recommends that only Genuine Hoyt Retailers press your bow. Any damage caused to a Hoyt bow by a bow press not approved by Hoyt WILL NOT be covered under Hoyt warranty. Due to the past-parallel limb angle on some models of Hoyt bows, only certain bow presses can safely be used. All Hoyt bows that feature the Hoyt UltraFlex Limb System, which include the Carbon Defiant, Carbon Defiant 34, Carbon Defiant Turbo, Defiant, Defiant 34, Defiant Turbo and HyperEdge CANNOT and SHOULD NOT be pressed in most standard bow presses. WARNING! Always read the warning labels and manufacturer’s instructions of all products being used in conjunction with a Hoyt bow, including but not limited to all archery accessories and components directly attached to the bow or used in conjunction with the bow such as targets, arrows, broadheads, release aids, etc. WARNING! It is critical that your bow is set up and functioning within the bow’s required safe operating parameters prior to use. Hoyt recommends that only a Genuine Hoyt Retailer setup and inspect your archery equipment to ensure that it is set up within the bow’s safe operating parameters. (see owner's manual for definition of Hoyt Bow Safe Operating Parameters). WARNING! Carefully inspect your bow before each use. Before you handle or shoot your bow, carefully inspect the condition of your bow, accessories, arrows, and your release aid to ensure they are in good and proper working condition. Any suspected damage to your bow should be inspected by Hoyt or a Genuine Hoyt Retailer for possible repair or replacement. WARNING! Before you handle or shoot your bow or other archery products, Hoyt recommends that you be trained and instructed in proper use by a certified archery coach. Sources such as USA Archery (www.teamusa.org/usa-archery/coaching/find-an-instructor-or-coach ), the National Field Archery Association (NFAA) https://www.nfaausa.com/state-organizations, and The Archery Trade Association (ATA) http:// www.archery360.com/ have contact information for certified archery coaches in your area. Other archery associations in your area or country may also have suitable programs. WARNING! An adult should always supervise minors when they are handling or shooting a bow. WARNING! Never use alcohol or drugs while handling or shooting your bow. WARNING! Always wear safety glasses when handling or shooting your bow. WARNING! Never let go of the bow handle while drawing the bow, holding the bow at full draw, or shooting the bow. It is important that you are able to maintain a consistent and secure grip on the bow handle without slippage of your hand on the bow grip. Use of items such as hand lotions, sun screens, and bug repellents may limit your ability to maintain control of the grip. WARNING! Always ensure that the area around your bow is clear of any and all obstructions to prevent items from being caught in the moving parts of the bow. When shooting your bow, never wear loose clothing, jewelry, or other items worn on your body that may get caught in the bow or bow string when the bow is shot. WARNING! Never point or aim a bow at another person. Be sure of your target and what lies beyond. Never shoot arrows straight up into the air. Make sure that the path from where you are shooting to the target and beyond is free from people and obstructions. The view that you see when looking through your sight while shooting (the sight picture) may not clearly show the trajectory path of the arrow. WARNING! Never dry fire your bow. To dry fire your bow, means to shoot the bow without an arrow. Never try drawing a bow that is too heavy for your strength or that does not fit your draw length as this could lead to an unintentional dry fire. A dry fire could cause your bow to break and cause death or serious injury to you or others. If your bow is dry-fired there could be both seen and unseen damage and it should be returned to Hoyt or taken to a Genuine Hoyt Retailer for inspection before any further use. WARNING! Do not perform any maintenance, adjustments, or have any work performed of any kind on any part of your bow while drawing or during any other part of the shooting cycle. Do not allow others to work on or touch any part of your bow during the shooting cycle. WARNING! Never shoot a bow with the incorrect arrow size (spine) or the incorrect arrow length. Shooting an incorrect arrow size or length could cause your arrow to break and cause serious injury to you or others. Refer to the specific arrow manufacturer’s arrow selection chart to select the correct arrow size and length for your setup. WARNING! Never shoot an arrow weighing less than five grains for every pound of peak draw weight of your bow. For example: If your bow’s peak draw weight is 70 pounds, do not shoot an arrow weighing less than 350 grains. Shooting an arrow below five grains per pound of peak draw weight could cause your bow to break and cause death or serious injury to you or others. WARNING! Never shoot a damaged arrow. Before each shot, inspect your arrows for damage. See the specific arrow manufacturer’s warnings and instructions on proper arrow inspection methods. Discard all damaged arrows. WARNING! Never mechanically alter or modify your bow. Drilling holes, cutting, filing, or sanding are examples of mechanically altering your bow which will likely cause the bow to break and could cause death or serious injury. WARNING! Never alter your Hoyt bow from its original factory configuration. Changing your bow’s cams, limbs, or other components from its original equipped and configured assembly could cause your bow to break and could cause death or serious injury. WARNING! Never draw or shoot a bow with frayed, worn, or damaged string or cables as they could break. Frayed, worn, or damaged bowstrings or cables should be immediately replaced by Hoyt or a Genuine Hoyt Retailer before the bow is used. Carefully inspect the string and cables each time before shooting your bow. Hoyt recommends that you replace your string and cables after 2,000 shots or after two years, whichever comes first. WARNING! Never draw or shoot your bow without all string accessories (peep sight, kisser button, nock points, D-Loop, string silencers, string weights, and speed weights) properly installed and secured to the string. 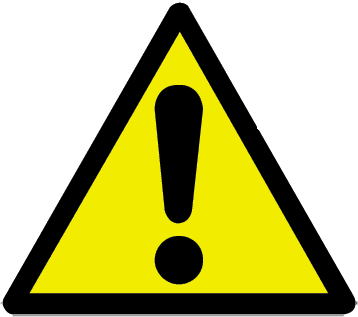 Do not use brass or other metal clamp-on nocking point or string weight devices. Hoyt recommends that only a Genuine Hoyt Retailer install all string accessories. (see owner's manual for definition of Hoyt Bow Safe Operating Parameters). WARNING! Never expose your string or cables to sharp objects such as knives or broadheads, or direct heat sources such as open flame or extremely hot objects as they could easily cut or cause the string and/or cables to break. WARNING! Never draw a bow with mismatched or missing cam modules, module screws and/or set screws. Never draw a bow with a missing or incorrectly installed draw stop peg. Never remove the cam control cable peg. Be sure to thoroughly check these areas of the cam with an allen wrench to ensure they are fully tightened and that modules are not mismatched. WARNING! Do not draw or shoot bow without the cable guard, cable slide and/or rollers properly installed, adjusted and tightened. WARNING! Only use genuine Hoyt manufactured replacement parts. Only Hoyt or a Genuine Hoyt Retailer should perform replacement of damaged parts. Hoyt recommends that all maintenance or service that requires the use of a bow press only be performed by a Genuine Hoyt Retailer. The use of an improper style bow press on your Hoyt bow or the incorrect use of any bow press on your bow may result in severe damage to the bow (see the warning near the top of this page regarding bow presses.). WARNING! Never expose your Hoyt carbon bow to any solvents or lubricants as the structure could become weakened. WARNING! Never expose your carbon bow to direct impact. If impact occurs, return your bow to Hoyt or take your bow to a Genuine Hoyt Retailer for inspection and required repair. WARNING! Never expose your bow to extreme heat or prolonged moisture. Damage can occur to your bow from heat exposure, prolonged exposure to moisture and improper storage. WARNING! When handling and using a bow, including all stages of the bow being drawn to full draw, the bowstring being released, or the bow being let down, the archer and all bystanders must keep all body parts outside of the path of the bowstring and away from all moving parts. WARNING! Never move, remove, or add additional string weights to your Hoyt bow’s string or cables. Strings weights are specifically engineered for weight and location to ensure correct operation of your bow. Alterations to string and cable speed weights could cause your bow to break or malfunction and could cause serious injury or death.